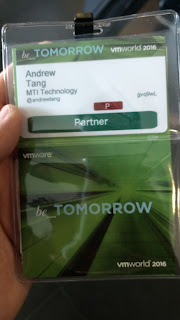 After a number of years of meaning to go, I have finally attended my first VMworld. As the recent strategy is the incorporate security into VMware solutions, it makes sense that my years in the security field would finally coincide with the virtual world. The experience was incredibly valuable from a work front. VMworld allowed me to meet and engage with some very high level executives, allowing me to honestly share our thoughts, challenges and ideas. I got the opportunity to attend a number of roundtables with my peers from across the world and understand where they are at. My only criticisms about VMworld is the amount of walking between the breakout sessions, Solution Exchange and lunch. While I'm talking about lunch, it would have been good if there was enough to feed everyone who attended. Despite these issues, the value from attending outweigh the minor niggles, and I hope to enjoy VMworld Europe again in 2017. 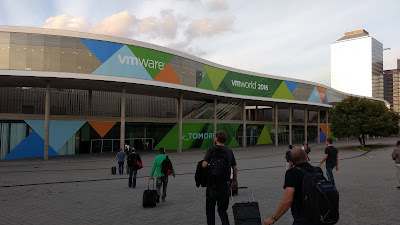 I've just got back from my first VMworld in Barcelona. I had no idea of the scale, content and knowledge available in one massive conference centre, predominantly around one vendor. My world has been IT Security for over a decade, with little appreciation that virtualisation is on a completely different scale in IT minds. I would have been very lost were it not for my colleague and friend, Anthony Poh, who is much more experienced in all things VMware and VMworld! I was asked to attend a Q&A session at one of the Partner Exchange, which turned out to be Accelerate Network Virtualization presented by Rajiv Ramaswami, EVP and GM, Networking and Security at VMware; Dom Delfino, VP of Worldwide Sales and Systems Engineering, Networking & Security at VMware; and Louise Ostrom, VP Network & Security, EMEA at VMware. I felt like a little known support act to some of greatest artists in the world, worried that what I had to say in front of other partners and vendors wouldn't be of interest and value, but when you get a chance to get your thoughts straight, I realised that MTI had a lot to offer and I was comfortable talking about it on a big stage to an audience of a few hundred people. The confidence of being on stage came from a familiarity of the topic, rather than memorising a script. I was able to show that MTI is a solutions and service provider in Europe; having offices in the UK, Germany and France, providing Datacentre, Security and Managed Services. 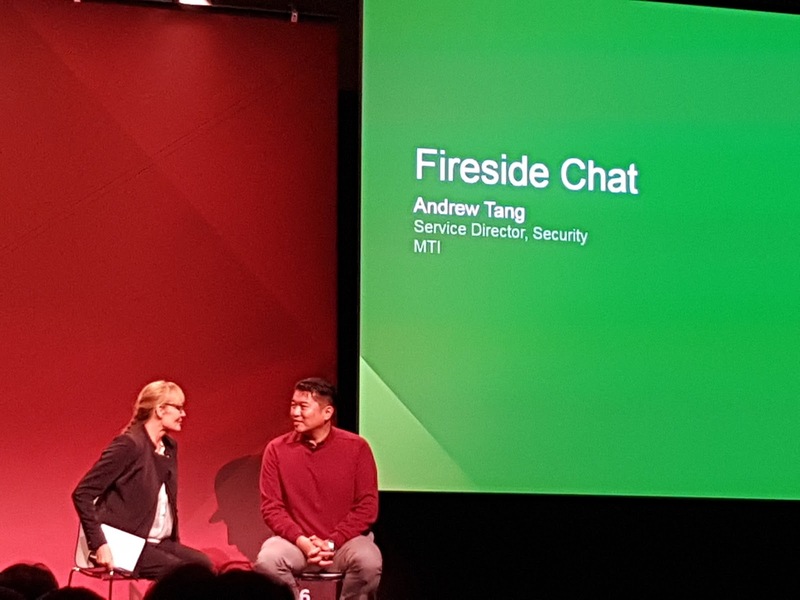 We discussed MTI's adoption of VMware NSX and how NSX is the foundation to some of our offerings with integration to our key security partners in Trend Micro and Palo Alto. Like life, the presentation wasn't scripted and, equipped with my new found confidence, I hope I get the opportunity to do some more in the future!